True or False: As a healthy adult, I don’t need to get a flu shot – the flu vaccine is only for babies and elderly people. The seasonal flu shot should definitely be given to babies aged 6 to 23 months and to elderly people but these are not the only groups who should get the vaccine. Any adult 18 and up—especially those people who work in a hospital, long-term care home, daycare or school—should get a flu shot every year. Parents and siblings of at-risk children—that is, babies less than 6 months old, and children and adolescents with chronic diseases—should receive the flu vaccine. In addition, children between the ages of 2 and 18 who have chronic illnesses should also be vaccinated against the flu. If you’re a healthy adult, you might think you’re way down the list of people who need a flu shot but the seasonal flu vaccine not only helps you from catching the flu, it helps you from spreading it. The flu vaccine is not a guarantee that you’ll remain flu-free for the season, but it greatly improves your chances of not getting it. And if you remain flu-free, then you’re also reducing the chance that you’ll infect someone else with the flu. Getting the flu shot shows your consideration for the people around you who are more vulnerable to flu such as infants, seniors, and people of all ages with chronic illnesses. Children under 6 months of age should not get a flu shot since they have immature immune systems and cannot respond to a flu vaccine. Mothers who are breastfeeding and have had a flu vaccination can provide protection to their infants through breast milk. 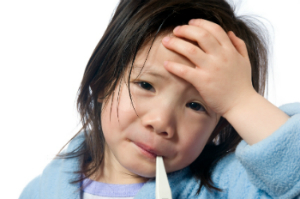 Children aged 6 to 23 months should get a flu shot since it is risky for a child in this age group to develop the flu. Children aged 2 to 18 years old do not need a flu shot unless they have a chronic illness or if they have a sibling younger than 6 months old.